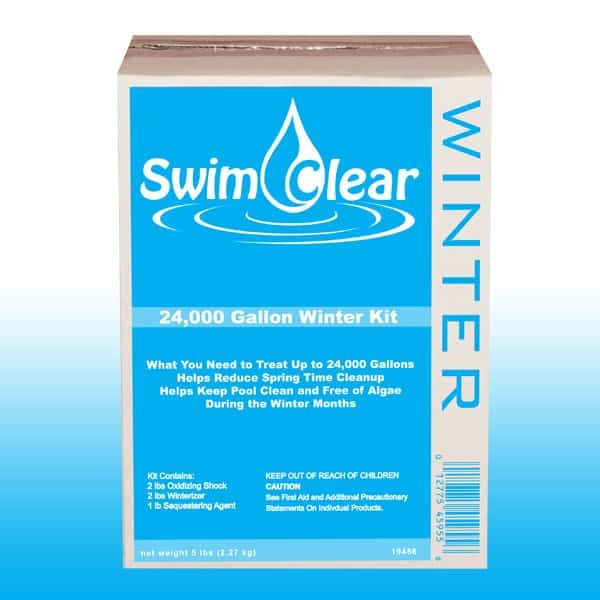 This winter chemical kit will work for pools up to 24,000 gallons. It contains the necessary pool chemicals to close your pool for the winter. All of the winter chemicals are individually packaged for ease of use and are all in a granular form. Each of the three winterizing chemicals serve a specific purpose and will help to ensure that your pool is crystal clear when opening it back up in the spring. Pool winterizing is made easy with this all in one chemical kit.